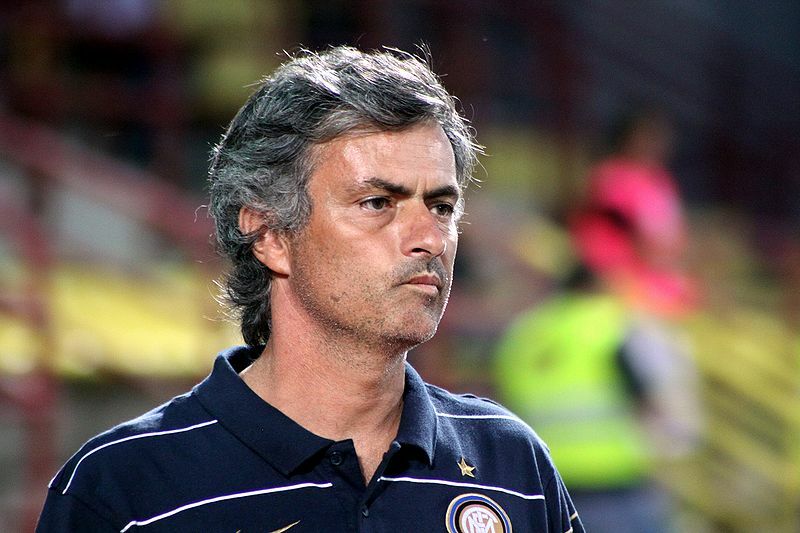 Tag Archive | "jose mourinho"
What follows is a thinkpiece I created for IMGTV in relation to their August 2005 programme, “Being Jose Mourinho”. An attempt to answer three questions: what sort of man is JM? what sort of man does what he does? and how does he do it? Football is a game full of men who are motivated by the pain of failure: they hate losing, they fear losing, and they mark defeat with some of the most emphatic body language to be seen anywhere. For men such as this, victory is as much a relief as it is a triumph – note how similar the scenes at MUFC’s FA Cup win in Cardiff in 2004 were to West Brom’s relegation survival game in 2005. Both in their own way showed the euphoria of escape. Roy Keane has commented far more often on shortcomings and failure than on success. Gudjohnsen commented before the Champions’ League semi-final with Liverpool that he “didn’t want to feel like that again”; he was referring to defeat in the same fixture to Monaco twelve months ago. JM is the opposite of this. He moves towards the things that challenge and please him. He comments that he could have stayed at Porto and been a hero for the rest of his days; instead, he takes a job in what looked at the time like a managerial snakepit, Chelsea. He has turned it into something far more attractive and stable, but that was his doing, and it’s his willingness to do that that is interesting. Erickson is of the same mould, but not Wenger. Ferguson once was, but no more. The psychologically significant characteristic of JM in this regard is his attitude to failure and mistakes. He seems to regard himself – his specific person – separately from what he does and accomplishes. If he makes a serious error, he does not interpret it as a comment upon himself or upon his ability. He cannot be damaged at the level of his own identity by error. Neither does he take error and setback as predictions. Learning situations, perhaps, but not a means to tell the future. At the end of Chelsea’s (unsuccessful) Champions’ League semi-final, it’s notable how quickly he turned the attention of his press conference to the future. In relation to this, JM is curious – he is a noted learner. That small elite of international coaches are all characterised by the depth of their study of the game; only JM and Steve McClaren actually took time off from their careers to learn more, and only JM has encapsulated his findings in the famous “black book” way. Unlike other coaches, JM takes the widest possible view of learning in relation to football – “what does he know of football that only football knows”; he is alleged to have acquaintance with literature and philosophy in additiion to fitness, tactics and coaching. Whilst this is the source of his confidence and certainty – he knows that none of the competition can match his knowledge across the board – he takes no kind of pride in knowing more than others – he still sees learning more as more important than resting on his laurels. Another facet of his moving towards what he wants and enjoys is his energy. Energy has to do with physical fitness, to be sure, and JM is fit. But it is as much to do with psychological energy. JM is not sapped by self-recrimination or self-doubt because of his attitude to error and failure, as above. He is able to remain interested in trying again, in moving forward, in seeking out new approaches and new experiences. Likewise, he is willing to take risks. He has put himself in a position to take informed risks – see learning – and he knows he is not going to suffer unduly psychologically if they don’t come off. So dramatic gestures such as the triple substitution in the FA Cup against Newcastle are open to him where lesser managers would have neither the knowledge nor the attitude to attempt anything so bold. (It’ll be interesting to go over the pattern of his substitutions across the course of the season). Going to Chelsea was a risk; his various, deliberate run-ins with authority have been risks. This moving-towards meme is also visible in his attitude towards his players. It’s very much the British way to take too much out of a player in terms of what they CAN do, and then to hammer them repeatedly over what they can’t do (Hoddle’s relationship with Beckham is a superb example of this). JM seems to concentrate on improving what is already there – as exemplified by the success of mediocrities such as Carvalho. What JM has done to transform Joe Cole seems different but it isn’t: he hasn’t attempted to add anything to Cole’s range of skills, just make them team-friendly. Cole is not the only Chelsea player who has had his in-team performance transformed, but he’s the obvious focus for media opinion given the frustration of Erickson et al with him. JM operates with an internal frame of reference. That is, JM is genuinely his own judge as to his performance, his next action, his relationships; the opinion of other people is feedback and input, but never decisive. For all his recent denials, this is where I would put his “special one” comment: he knows his ability, and that knowledge is not open to adjustment by the opinions of other people. The advantages of this to a football manager are many: how many managers end up selecting their team in line with their press coverage? JM seems to regard his relations with the press lightly, seeking only to shield his players from its pressure. If it’s JM being pilloried by the press, or by UEFA, then it’s not his players, and he is unlikely to be psychologically hurt by whatever is said about him, all the less for having provoked such comment deliberately. JM is what is called a mismatcher – a noticer of differences. This is another vital part of the makeup of the small elite group of managers. Attention to detail, which is one facet of noticing differences, is one of the two important means of motivating players, of being a leader (the other component is the communication of certainty). In JM’s case, he watches a game of football in a different way from most managers, indeed, most people. In talking of a game of football as consisting of 3d movement, JM notices multiple patterns where his competitors notice only one. In one Portuguese game, he substitutes his centre forward, who had just scored, because he had noticed a pattern in play that everyone else had missed completely, that he felt was better exploited by a different kind of player. (It will be interesting to compare JM’s decisions with the automated Championship Manager ones). Roy Keane’s autobiography constantly calls attention to the importance of attention to detail for players. It’s more than just diet, or making sure that training facilities are adequate. It’s the difference between treating all players in the same way, and knowing how to manage each player in relation to their own individual personality. It’s the search for new ways in which to give players the opportunity to improve, more, than their competitors. The eagerness of players to join Arsenal, Manchester United and Chelsea is as much that they are sure to become better players and perhaps internationals, as it is for the money. JM as a mismatcher is a man in search of new experience and variety, and he will bring these things to his players also. Players comment about all of the small elite group of managers that training is more various, more interesting, with them than with the mass of bosses. JM has had an extremely good idea of how he wants training to be at his club for a long time; variety, at Chelsea, has come as much by building a new training ground (where Ranieri and Vialli failed, notably) as by ringing the changes in an already various routine. JM’s status as a mismatcher – a noticer of differences – has given him one advantage that seems unique among even the elite group of managers. He sees his communication and relationship with the Chelsea owner and board as equally important as those he has with his players. I know of no similar example anywhere. By taking intense care of his relations with the board, he maximises his decision making capability, and minimises his complications. So, he writes a report (daily or weekly; I forget) for Abramovich, explaining what he does and why. Equally, he keeps the lower echelons of the club involved. In understanding JM, it’s important to compare how he becomes acquainted with other people’s ability as compared with other managers. As with all of the elite group, he needs to see a player himself to be convinced of their worth or otherwise. In terms of skill and ability, he needs perhaps a couple of training sessions – no more. In terms of character – none of the elite group will work with bad-attitude players, whatever their level of skill – JM seems to need a maximum of two weeks to know if he wants to work with a player or not. One of the key differences between JM and the non-elite coaches is that the latter group can take up to two years to decide whether or not a face fits. They lack workable criteria to make that kind of decision in the optimum time frame. JM’s criteria are relatively fixed, but he is still willing to make a mistake (he seems open to have Crespo back at Chelsea, for instance) as we have discussed above. Many “average” managers will buy on the strength of scouts’ opinions alone; if a player’s face doesn’t fit, they won’t communicate this, leaving that player in the dark and taking that much energy out of the team unit. JM is motivated by what is possible, not by what is necessary. This is a common trait amongst the elite group of managers – none of whom have any need to do football as opposed to anything else. But JM has used the freedom this basic trait allows more liberally than most. Taking time out of his career to focus on creating his coaching “black book” would have been looked on as suicidal by all of his contemporaries, who would have urged him to take a job, any job – and indeed, not to have left his old job without having a new one lined up. Only Wenger’s trip to Japan is comparable among the managers currently in the English game. Likewise, he was remarkably unwilling to be intimidated by the pursuit of a quadruple for much of the season – he didn’t feel compelled to write off the possibility or to play it down – it excited him, and he saw it as doable. Again, his adventurous substitutions come in here. As does his failure to rest his principle players in the run-in to the title, where many managers would have been tempted to win the title more slowly by grinding out results with bit-part players, JM (who doesn’t have bit-part players) went for it. Wenger and Bryan Robson are two other managers who successfully ignore “necessity” and achieve playing football their way, having seen the possibility and opted for it. JM operates what is called a “proximity strategy” at Chelsea. Namely, he works in a group of people, but he is in charge. Whilst his relationship with his players is notably warmer and closer than that of either Ferguson or Wenger, to the point where one wonders if he is committing the ultimate managerial sin of befriending his players, in my opinion the fact remains that he has made them “his” players by one means or another. They owe their position to him, and feel that emotionally. Either he inherited them from Ranieri and made them his own by keeping them (Gudjohnsen, Terry, Lampard) or he brought them with him from Porto (e.g. Carvalho) or he bought them (Drogba). JM motivates his players by: providing them with certainty and attention to detail, by fostering a them-against-us attitude (in the pure Ferguson style), by building on their strengths, not hammering on their weaknesses, and by making them his overt choices. Unsurprisingly, his players report that he makes them feel like “big men”. He is a communicator and explainer, not an autocrat, and tells the players why he wants a particular approach taken, a specific tactic adopted. The certainty he gives them has two sources. His own certainty, first of all, is based upon his preparation and intelligence, and his awareness of both of these. 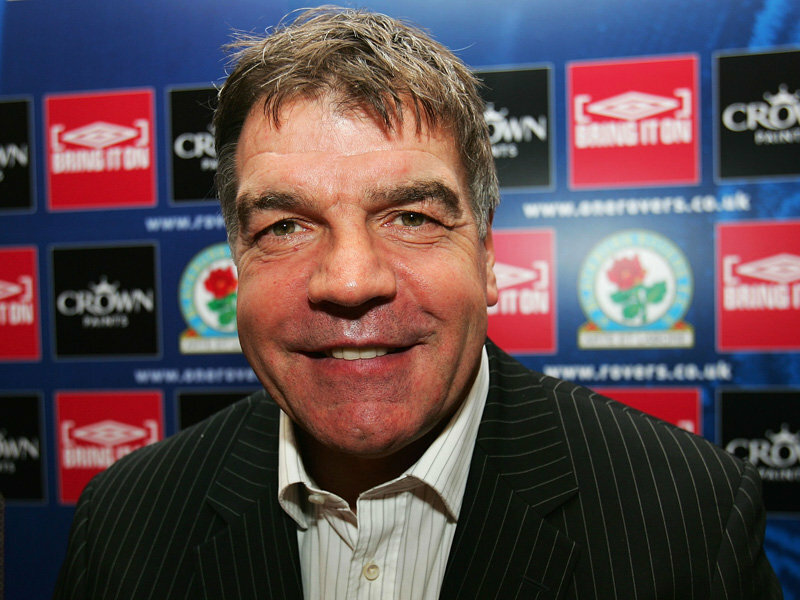 He is better suited to the job than most managers, he has prepared vastly better, and he knows it. Secondly, because his training methods are more effective than other managers’, his players realise quickly that he is indeed able to improve them as players and as a team, thus to take them to the fulfilment of their ambitions. If they go along with JM, they will achieve what they want to achieve. The them-against-us attitude, of course, comes from generating anti-Chelsea press and then telling the team that no one wants them to win, that everyone hates them. This tactic is being applied to a group that he has already chosen for its group dynamic in the first place, so it is doubly effective (it wouldn’t have any effect on a disparate group of players who don’t get on with each other). JM has explicit team and training reasons for his belief in a 24-man squad; one reason must surely be that 24 men can continue as a viable unit where the 33-34 of MUFC cannot; 24 men can all expect to take some significant part in events, unless their name is Scott Parker. But JM’s slashing of the Chelsea squad means that those left are the survivors: “chosen men” in the military parlance.